Big change in the corporate foundation funding landscape. Earlier this year I wrote that the community of non-profit organizations working to mitigate the burden of breast cancer in the Bay Area had learned that AVON was discontinuing its AVON 39 Walk to End Breast Cancer in San Francisco and around the country. You can read more details here. Then AVON"s The Breast Cancer Crusade appeared set to continue with an announcement of a partnership with The American Cancer Society. However AVON is not making grants at this time and no information has yet been made public as to when and how funding might resume. Zero Breast Cancer continues to acknowledge the many years of generous support from AVON. ZBC has not received AVON funding since 2015-2016 but ongoing work on the GIrls' New Puberty campaign still benefits from significant AVON grant support that was invested in this campaign. We think its important to give credit where credit is due! Some exciting new aspects of the campaign are under construction and we will keep you posted in the fall. Hint; more materials in Spanish and also in Chinese. Other Bay Area recipients of AVON support have also now received their last grants for the foreseeable future as far as they know. Again full credit to AVON for organizing these huge fundraising efforts and then giving back to a wide variety of programs and services related to breast cancer prevention, screening and treatment in the SF Bay Area. The needs haven't magically disappeared even though AVON's support has ended. The urgent question many are asking is "who is going to step in with the same level of philanthropic generosity?" Big change in the independent research organization landscape. "The organization has been primarily funded through public grants. Over the past several years, CPIC has been confronted with a dwindling federal funding environment. As an independent, nonprofit research institute, this presented an insurmountable hurdle in fulfilling the cancer prevention mission of the organization. In this competitive funding environment, we have found that research scientists – the drivers of our work – are much more successful in securing research funding when they are affiliated with large research institutions than they are in smaller, independent organizations such as CPIC. Over the years, CPIC researchers have transitioned to other institutions, including in the academic and industry sectors. With the remaining CPIC researchers transitioning to the University of California, San Francisco and Stanford University, the research programs of CPIC will continue on at these Bay Area institutions and their respective cancer centers." "The UCSF Helen Diller Family Comprehensive Cancer Center will also assume management of the Greater Bay Area Cancer Registry. Since 1973, CPIC has been tracking the 30,000 cancers diagnosed and 10,000 deaths that occur each year through the registry. The registry is an important resource to help understand the cancer burden, risk factors, and the impact of prevention and screening programs". "UCSF will also continue to host the Annual CPIC Breast Cancer Conference for cancer patients and survivors. CPIC has hosted this conference for 17 years". We look forward to seeing friends, colleagues, health care providers and the survivor community at next year's conference. You can read the full CPIC announcement here. Big shift towards a focus on health disparities. Reader, its all about resources, priorities and context. There is good news! Cancer rates and cancer deaths in California and nationally have declined. The bad news is that cancer is still the second leading cause of death. 1 in 8 women will be diagnosed with breast cancer in 2018 and 40,000 women will die of breast cancer in the USA. A very important nuance in this conversation is that the good news accrues more to Non-Hispanic whites and the bad news impacts African-Americans, Hispanic/Latino populations and lower socio-economic groups disproportionately. These health care disparities, including here in California, are troubling and challenging. You can read the American Cancer Society's full California Cancer Facts & Figures 2017 report here. You can read the Cancer Facts & Figures for Hispanics/Latinos 2015-2017 here. This week ZBC has been exhibiting and presenting at the 6th National Latino Cancer Summit at the UCSF Mission Bay Conference Center. We will report more fully on this conference in a later newsletter but a key focus of this conference are these disparities. Succinctly and powerfully expressed by Rena Pasick, DrPh (Professor of Medicine at UCSF and Director of the office of Community Engagement for the UCSF Hellen Diller Family Comprehensive Cancer Center), is the definition of cancer disparities as differences that arise due to iniquities. This formulation forces the conversation to concentrate on the challenges of reducing these iniquities to mitigate these disparities; simply focusing on individuals and and risky individual behavior is not enough! According to Dr. Pasick what is needed are resources to systematically address iniquities that are societal/cultural, those in the health care system, those located at the level of family and community, those between patient and doctor and those at a cellular level (impact of environment, lifestyle, stress, trauma, etc). 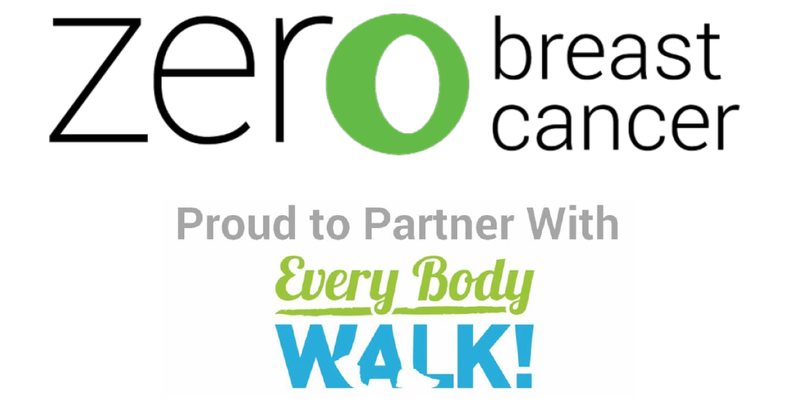 Zero Breast Cancer is committed to challenging ourselves to focus more on undeserved populations and play our part in reducing these iniquities. Health information and education is an area we can make an impact. Our campaigns are thoughtfully designed to be accessible to all. The feedback from the conference this week has been warm, appreciative and encouraging. Seems we are doing something right. And there is much more to do. Again that question; 'where will the philanthropic support come from?" In the best case scenario it will come from a diversified and sustainable mix of public, corporate and individual private support through grants, sponsorships, individual monthly and/or annual giving as well as legacy bequests. More than ever thank you for prioritizing and supporting Zero Breast Cancer and breast cancer prevention in the next generation, especially for those who are currently underserved! 16TH ANNUAL DIPSEA HIKE - JOIN US! DON'T DELAY SECURE YOUR SPOT TODAY! Hike and fund-raise in memory of Annie Fox (page 9) and Jerry Leith. Hike and fund-raise in memory or honor of your beloved family member or friend affected by breast cancer. Hike and fund-raise for health and breast cancer risk reduction in the next generation. Can't hike? Try tai chi, fund-raising, volunteering or donating! When you click on the image above you can read more on the event site; see detailed answers to your questions about the event, how to participate and register, what fund raised are used for, how fundraising is progressing and the logos of all the generous sponsors and in kind donors. Does all physical activity have to be hard labor to be beneficial? Did you know that you don’t have to drip sweat to see the benefits of exercise? 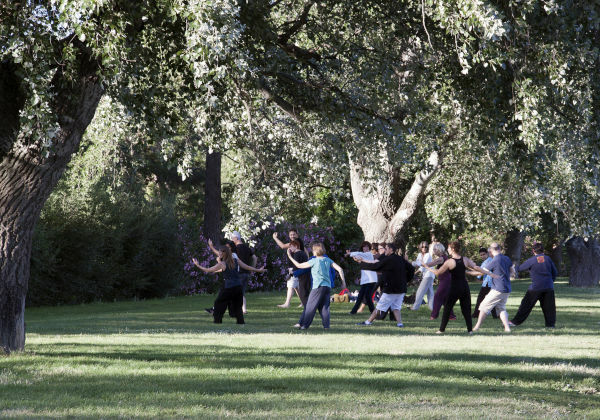 For example, tai chi is a gentle exercise that shows similar benefits to more vigorous activities. It may improve the immune system, cardio-vascular fitness, strength, flexibility, balance, stress level and sleep. Read the full blog post here. SPOTLIGHT ON : Lexi-Mele Algus. Professional and pro-bono healthcare consultant with a sharp strategic eye, a love of travel and a highly engaged member of the Zero Breast Cancer Board of Directors. 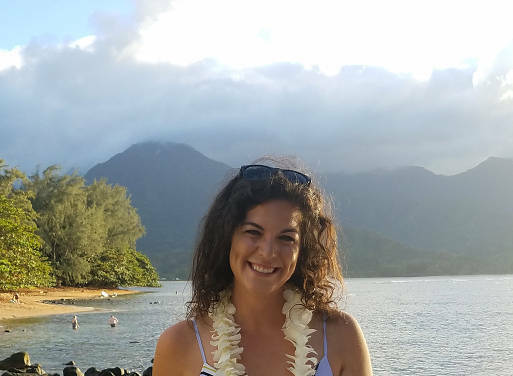 July's Get to Know the ZBC Board Series spotlight is on Lexi Mele-Algus. Lexi got to know Zero Breast Cancer as a pro-bono business consultant through the Taproot Foundation. Once that assignment was completed, Lexi jumped at the opportunity to join the board. In her year and a half as a board member, she has continued to draw upon her expertise in the field of healthcare systems to support and advance the strategic mission of ZBC. You can read the full interveiw with Lexi here. Teva Harrison was diagnosed at 37 years of age with metastatic breast cancer. Her approach to dealing with this serious health crisis was to work on her mind as well as her body as part of her process of making sense of and coping with what was happening to her. Living in Toronto, Canada at the time of her diagnosis she had the good fortune to be in the care of an oncology team that included a psychiatrist. As a result of therapy the author uses her artistic talents to tell her story in a unique series of comic strips and complimentary writings. Text and images are used to explore all the challenges and emotions that have arisen for the author in her new reality. The book is all at once hard and sad to read and yet, remarkably, still hopeful. Above all Teva is a realist. She reflects on mortality, religion, superstition and spirituality with a very light touch. Her gratitude for the love and support she has all around her is palpable but not preachy. I think this book is particularly important for family and friends of loved ones dealing with metastatic breast cancer. It will empower you to new levels of empathy. You can read the full review here.